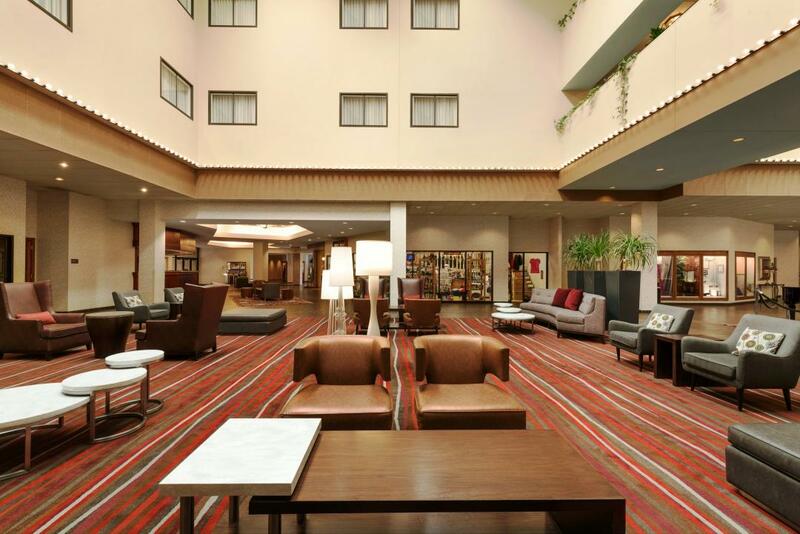 With a premier location in the heart of downtown Appleton, WI, the Red Lion Hotel Paper Valley places guests within walking distance of a variety of restaurants, attractions, and businesses. Enjoy an evening at the Fox Cities Performing Arts Center, a two minute walk from the hotel, or visit Lawrence University, just a half mile down the street. Although the Red Lion Hotel Paper Valley is located in the heart of downtown, there are plenty of opportunities to enjoy the lush outdoors by the courtyard or on the patio. Head to the heated indoor pool and hot tub after a long day, or relax with a book in your room or suite. You'll enjoy a hassle-free stay thanks to on-site conveniences like dining options, free high-speed, wireless Internet, room service, and a complimentary airport shuttle. Invest in your well-being during your visit by spending time in the sauna or working out in the fitness center. If you're traveling for work or visiting nearby Lawrence University, stay on top of assignments with the 24-hour business center or host meetings in the on-site event facilities. During your visit, dine with us at Vince Lombardi's Steakhouse. Located on site, the restaurant serves delicious cuisine in an upscale atmosphere. The Clubhouse and The Orchard Cafe are also perfect dining choices if you're in search of a more casual atmosphere. Jo a la Mode is your one stop shop for Starbucks coffee and a morning snack, while the Blaze Bar provides a relaxing respite at the end of a busy day. Boasting sizzling steaks, superb wines and a one-of-a-kind atmosphere decorated with more than 400 pieces of the Green Bay coach's personal memorabilia and classic photos, the award winning Vince Lombardi's Steakhouse yesis a dining icon in the Fox Cities. Open Monday-Saturday starting at 4pm. Located across from the front desk, Jo a la Mode Cafe serves Starbucks coffee, ice cream, breakfast sandwiches, bagels, cookies and other grab-and-go options every day. Opens daily at 5am. 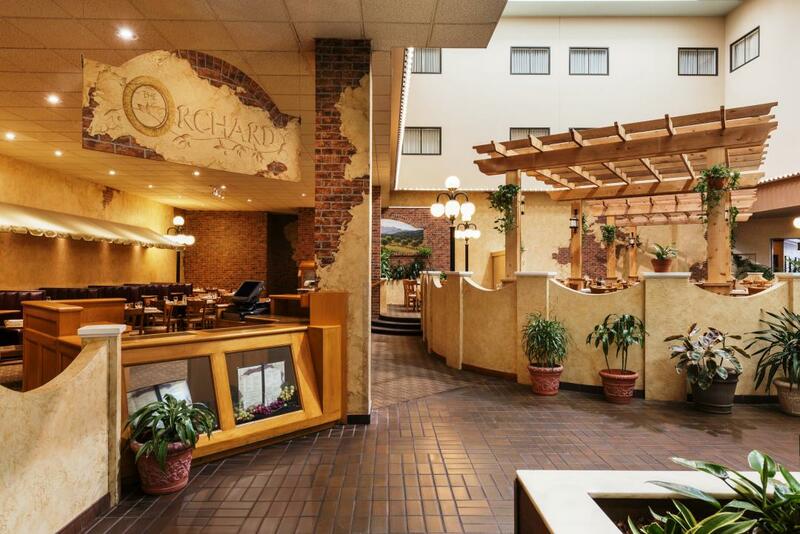 Located in the hotel atrium, The Orchard Cafe offers open air dining on the Mediterranean-style patio. Breakfast and lunch are served daily, and Sunday brunch features everything from an omelet station to fresh seasonal produce. Open from 6:30am - 1:30pm. Meet with friends or colleagues for a drink at this casual on-site bar. You can dine on hearty sandwiches, mouthwatering appetizers, pizzas and salads, and be entertained by the more than 20 televisions, NTN Trivia and a Full Swing golf simulator. Opens daily at 11am. Kick back, relax and sip on your favorite cocktail with a smoking twist at the on-site BLAZE Bourbon and Whiskey Bar. During your stay, come try a Smoked New Old Fashioned, The Bees Knees, a Smoked Margarita and more anytime Monday through Saturday starting at 4pm. Your Red Lion Hotel Paper Valley Hotel experience is incomplete without dining at legendary Lombardi's Steakhouse in Appleton. From the intricately crafted woodwork, hand-carved by local artisans, to the memorabilia-lined walls and the perfectly prepared steaks, no detail goes unnoticed. The impeccable service and mouthwatering dishes will have you returning time and again throughout your stay. Take a seat in the richly decorated dining area, where stately green and dark wood accents encase glass shelves brimming with football trophies, photos and articles to entertain you during your meal. Artifacts commemorating Coach Lombardi include his draft card and sunglasses, hand-drawn football plays, three "Coach of the Year" trophies (1960, 1961, and 1967) and a replica of the Lombardi Trophy (given annually to the Super Bowl champions). The Brunswick-style bar is available for patrons who wish to enjoy a drink, and private dining areas can be reserved for special events, rehearsal dinners and more. Regardless of where you dine, you'll receive the utmost service and access to our full menu, featuring upscale American cuisine and an impressive wine list by Wine Spectator magazine. Open Monday-Saturday starting at 4pm. In addition to over 38,000 feet of event space, The Red Lion Hotel Paper Valley provides a dedicated event planner and unbeatable hospitality, so guests can enjoy an experience to remember. Let our professional staff help you with every detail of the planning, including customizable catering menus, audiovisual equipment rental and event room setup. 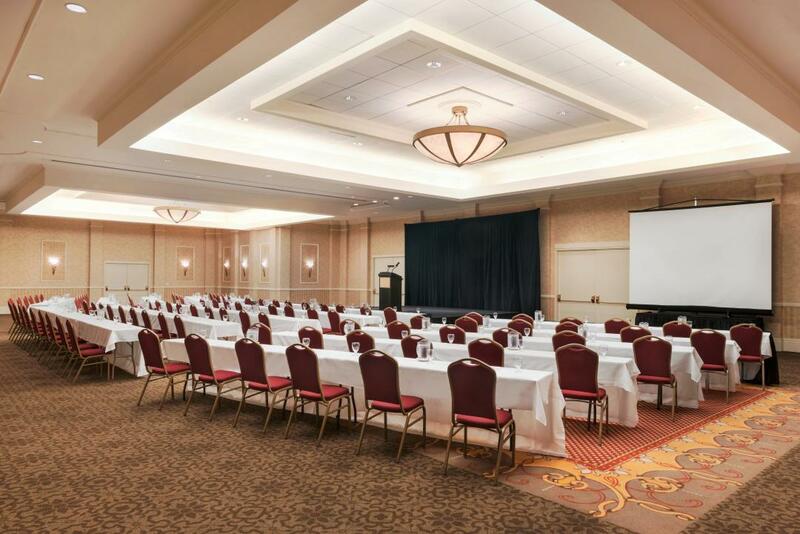 Choose from 26 function rooms and an outdoor courtyard area, which provides plenty of options for an important board meeting, business conference, an inspiring banquet or a stylish wedding reception for as many as 2,000 attendees. Let the professional event planning staff at the Red Lion Hotel Paper Valley help you transform our venue into the wedding reception of your dreams. We offer a variety of indoor function rooms and a manicured courtyard providing the perfect backdrop for your special day. Combine our reception amenities with our extensive on-site services and inviting hotel rooms and suites to ensure both you and your guests have a remarkable and memorable experience. You can plan a ceremony and reception for up to 1,000 guests in our Grand Ballroom, often referred to as "The Grandest Ballroom in the Valley," or toast your marriage with up to 300 friends inside the Empire Ballroom. 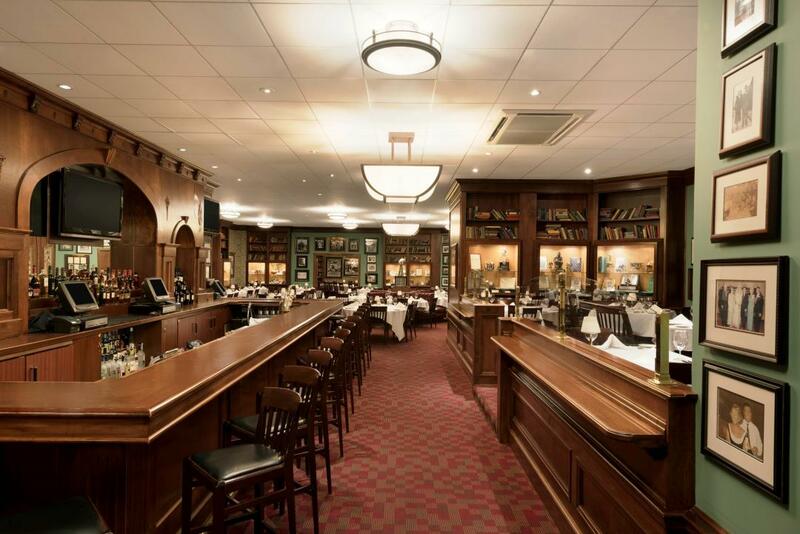 Our Vince Lombardi's Steakhouse is the perfect place to host your rehearsal dinner. Between the excitement of Wisconsin Timber Rattlers baseball games and the laughs at Skyline Comedy Cafe, you won't run out of fun things to do while visiting the Appleton, WI area. The Red Lion Hotel Paper Valley's downtown location places guests across the street from the vibrant Fox Cities Performing Arts Center and just a short walk away from more than 50 restaurants, boutiques, and museums. Take the family to The Building for Kids Children's Museum and the Paper Discovery Center for an afternoon of fun and learning, or treat yourself to a beer at Fox River Brewing Company, located at the Fox River Mall. For a first-hand look at Appleton's past, The History Museum at the Castle provides a unique peek at local history and culture. Exhibits at this museum include various hands-on activities that are dedicated to building imagination, creativity, and confidence. Browse the various regional, national, and international pieces of art displayed at this historic complex. The events calendar includes special lectures, classes, and musical performances. Located in a former Masonic Temple, this museum educates through hands-on activities that revolve around a wide range of subjects. The Harry Houdini exhibit is a must-see. Lawrence University hosts students from around the world and offers a wide variety of majors and concentrations. Visit the home of the Paper Industry International Hall of Fame to learn about the first paper mill to use hydroelectric power. Guided tours of this circa-1880s Victorian home, which was the first in the world to be lit by hydroelectricity, highlight the house's many original fixtures. This downtown cultural center offers sophisticated entertainment in a grand setting. Live stand-up comedy is the name of the game at Skyline Comedy Cafe, which is recognized as one of the top comedy clubs in the country. More than 180 stores and an excellent food court make up this mall. This local airport provides service to seven major hubs in the United States through Allegiant, United, and Delta Airlines. Sports enthusiasts rejoice, take in a Wisconsin Timber Rattlers baseball game or watch the Green Bay Packers play football on Sunday. Both venues are close to Red Lion Hotel Paper Valley. Support this Class-A affiliate of the MLB's Milwaukee Brewers and enjoy nine innings of family fun. Stadium tours are available at Lambeau Field, home of one the NFL's most storied franchises, the Green Bay Packers. Or catch a game during football season.